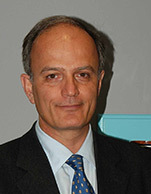 Mr. John Platsidakis is an executive of the Angelicoussis Shipping Group and Managing Director of Anangel Maritime Services Inc., the management company of the Group's dry cargo fleet. He joined the Group in 01/1989. John studied Mathematics (B.Sc.) at the University of Thessaloniki, Greece, Operational Research (M.Sc.) at the London School of Economics, UK and Economics and Econometrics (M.Sc.) at Southampton University, U.K. He is a member of the Executive Committee of Intercargo since 05/2002 and its Chairman since 10/2012, member of the Council of Intertanko since 11/2007 and Member of its Executive Committee since 11/2009, member of the Board of Directors of the Hellenic Chamber of Shipping since 02/1994 and member of its Executive Committee since 02/1998, and member of the Board of Directors of the Union of Greek Ship-Owners since 01/1997.